Fargesia sp. ‘Scabrida’ has perhaps the most exciting colors of any hardy clumping bamboo: the young culms have dark orange sheaths, opening gradually to reveal steel-blue and lavender culms, aging to an olive green. The leaves are dark green and slender, with a graceful, airy arrangement. 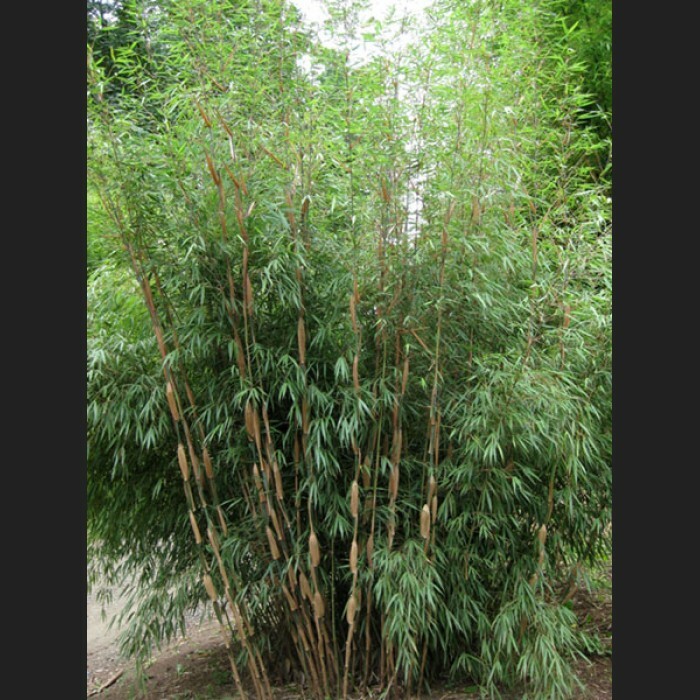 Like F. robusta, it has many desirable qualities: fairly upright habit, vigorous growth, and more sun-tolerant than most other Fargesia. Scabrida makes a great, evergreen privacy screen.